Marc Guggenheim is a name well known to comic book fans. Having started his career as a writer at both Marvel and DC Comics, Guggenheim created The CW‘s Arrow and Legends of Tomorrow, serving as an essential part of the ever-growing small screen DCU. This Friday, however, Guggenheim invites fans to enter a brand-new world with the launch of Dreamworks Animation‘s Trollhunters. The series, based on the book by Guillermo del Toro and Daniel Kraus, debuts its 23-episode first season on Netflix this Friday, December 23. 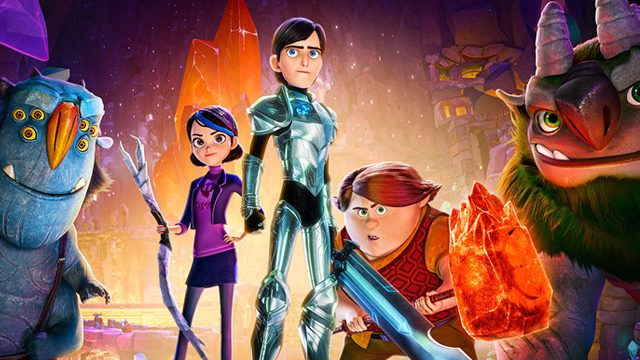 Executive produced by Guggenheim and Del Toro, Trollhunters‘ voice cast includes Kelsey Grammer (Frasier, The Simpsons), Ron Perlman (Sons of Anarchy, Hellboy), Steven Yeun (The Walking Dead), Charlie Saxton (Betas) and the late Anton Yelchin (Star Trek Beyond, Only Lovers Left Alive). You can also check out a new clip from Trollhunters in the player at the bottom of this page. CS: You’ve obviously been part of the genre world for a while. What led to you and Guillermo del Toro crossing paths? Marc Guggenheim: It was about five years ago now. This was during the first season of “Arrow.” Guillermo had written half a screenplay based on his young adult novel. Other writers had come in and worked on it. I think the original was kind of what you might expect from a Frankenstein draft. They brought me in for a fresh perspective and I came in and got working on the screenplay. I did a draft and was about to start a second draft when, lo a behold, Netflix asked us to pitch it to them. So we did and, the next thing I knew, we were making this a series. It turned out to be the best thing that ever happened to the project. One of the challenges in the feature script was taking all this rich, deep mythology that was in Guillermo’s book, and cram it into a 90-minute narrative. It was forcing us to make a lot of Hobbesian choices and kill our darlings. Once Netflix got involved, all those problems went away. We had as much space as we needed to tell the story we wanted to tell. It really turned out to be for the good. CS: From looking at the state of the small screen DCU, it seems like you’ve become an expert in world building. Marc Guggenheim: (laughs) I don’t know about that. I think there’s a number of people who are much better than I am. But I do enjoy world building. It’s one of the fun benefits of working in genre. I appreciate the compliment, but there are really others who, frankly, do it much better. CS: You’ve worked with animation in the DC Universe, but is working on a full series something very different? Marc Guggenheim: It’s funny. When I started “Trollhunters,” “Vixen” wasn’t even a gleam in anyone’s eye. In a lot of ways, “Trollhunters” was my first real dive into animation. Certainly there are a lot of difference from a production standpoint. As far as writing, my process was pretty much the same as it is on almost any project. One of the great things about Guillermo’s vision for this project was that we weren’t going to talk down to kids. It wasn’t going to be a quote unquote “kid’s show.” It was going to be something that people of all ages can enjoy. Our touchstone was really the Amblin films of the 1980s. Even though those films had kids as protagonists, you wouldn’t really call them kids movies. They’re just great all ages movies that, quite frankly, possess a level of sophistication and of character development that you don’t often see in a kids project. Amblin not only set a tone for us, but was also proof of concept that kids of all ages can handle a wide variety of tones and types of stories. CS: That Amblin feel definitely comes through. Is there something specific you think makes that click in the storytelling? Marc Guggenheim: I think that one of touchstones that make an Amblin movie an Amblin movie is that kids sort of have their own independent agency. The movies themselves, even though they’re sort of rooted in the times they were made, have a timeless quality. Even though there’s no cell phones and portable computers are these huge, massive bricks, the rest of it feels very timely because they’re telling universal stories. CS: Is that an easy tone to just go for or does that translate to a lot of experimentation in getting it right? Marc Guggenheim: As with anything, there’s a fair amount of experimentation. The great thing about the Amblin tone, for lack of a better term, is that it’s something that we all grew up with. It’s kind of baked into our DNA as storytellers. It’s not like we’re trying to adopt a tone that’s alien to us. If anything, the Amblin movies are incredibly familiar to us as writers and producers and directors. 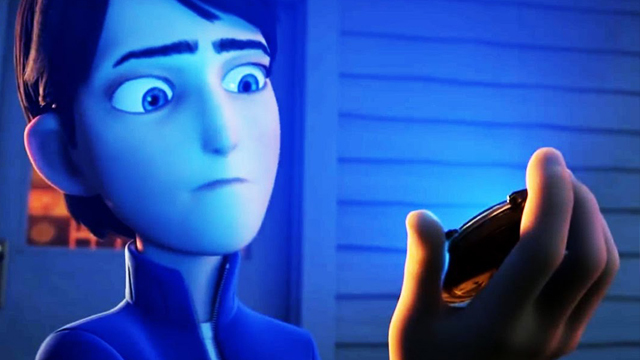 CS: Is there a future for “Trollhunters” already planned past the first season? Marc Guggenheim: As with all things, it has to be a success in order to contemplate the future. That said, we’re feeling pretty bullish about the series and we have some plans. Some of them are short term and some are long term. All of them are things that remain — I wouldn’t say “closely-guarded secret,” but stuff that we’re not quite ready to announce yet. I think that our focus right now is getting those 23 episodes out into the world and, hopefully, people react to them the way we hope and expect them to. This is a weird show. This is one of those rare animated projects that the whole family can watch together. The production value is game-changing. We’re really trying to push the limits of what people should expect from computer animation on a serialized show. It started off as a feature film and all the development was done as a feature film. I think that really shows up on screen now. We basically traded features for series, but we never lost our feature roots. I think that, if we’re successful, it will feel like a really long movie instead of individual TV episodes. CS: With 23 episodes available all on the same day, “Trollhunters” certainly lends itself to binge viewing. Is the fact that you have audiences happy to take in the series that way something that you have to consider as you’re planning the series? Marc Guggenheim: I would say just a little bit. I’m always a proponent of the cart not dragging the horse. But I also try to keep very mindful of the fact that there’s a cart. I think, for us, the idea that it could be potentially binge-watched was advantageous. We always wanted to tell a serialized story, but every episode has a plot with a beginning, middle and an end, but there’s also a mythology that we’re building out over the course of the series. All of that is great for binge watching. There are episodes that end in cliffhangers and then we’re rising to certain crescendos throughout the season. It was sort of constructed with an eye towards dramatic rising and falling of narrative. At the same time, I think the best approach on our end is to know how it could be consumed and then to let go of that. Just be aware that this is how many people watch and let that influence in a very background way the storytelling. At the end of the day, regardless of how it’s consumed, you have to tell a good story. If you’re focused too much on the platform, you’re not focusing on what’s really important. CS: You and Guillermo del Toro both share a love of many nerdy things. Does that fuel your conversations creatively? Marc Guggenheim: (laughs) It’s funny. Our nerd backgrounds are very interesting. There’s a huge overlap in terms of comic books, but we’re also a very interesting pop culture Venn diagram because he’s very influenced by the horror and supernatural side, while I’m very into the superhero and science fiction side of things. There’s a huge amount of overlap in our interests, too. I think that is what is really great about Guillermo del Toro. He approaches everything as a fan first. Basically, he starts out asking, “What do I want to see? What do I want to watch?” That’s very refreshing. He’s not thinking about the commercial side of things. He’s not thinking about production concerns. He’s just thinking about the best possible story and how to tell that story in the best possible way. CS: Then again, “Trollhunters” does seem like it might lend itself to some cool toys. Has that been talked about at all? Marc Guggenheim: Yeah, it’s definitely something that we’ve talked about. What I’ve been told is that the general way it works now is that you get the show out there. Once there’s enough awareness, that’s when the toys and action figures come. I’d be lying if I told you that we haven’t met with a wide variety of toy companies and had consumer product discussions with DreamWorks. I’m looking forward to my Trollhunters action figures. By the way, this is something that Guillermo is an expert on. He really, really cares about this stuff. He embraces it as a fan and as a collector. He has certain standards that he wants any licensee to meet that lives up to the bar that we’re trying to set with the series. We want that to be reflected in any of the merchandise. 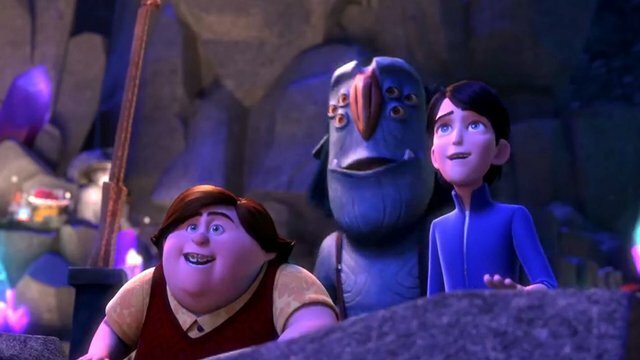 CS: Are there any Easter eggs fans should be on the lookout for in the first season of “Trollhunters”? Marc Guggenheim: Oh gosh. There are so many. There are plenty. I wrote into the pilot two dialogue Easter eggs. There’s a “Raiders of the Lost Ark” reference in the first episode and there’s a Billy Joel reference in the second episode. Not all Easter eggs need to be genre. In fact, there’s a reference to my father’s electronic store in episode two. There are sprinklings throughout the series because, again, everyone involved has a love of genre. I don’t think we could help ourselves.